What I especially love is being able to shop some of my favorite higher end lines, like benefit (one of my all time favs), and pick up some of my favorite drugstore lines all.in.the.same.place. 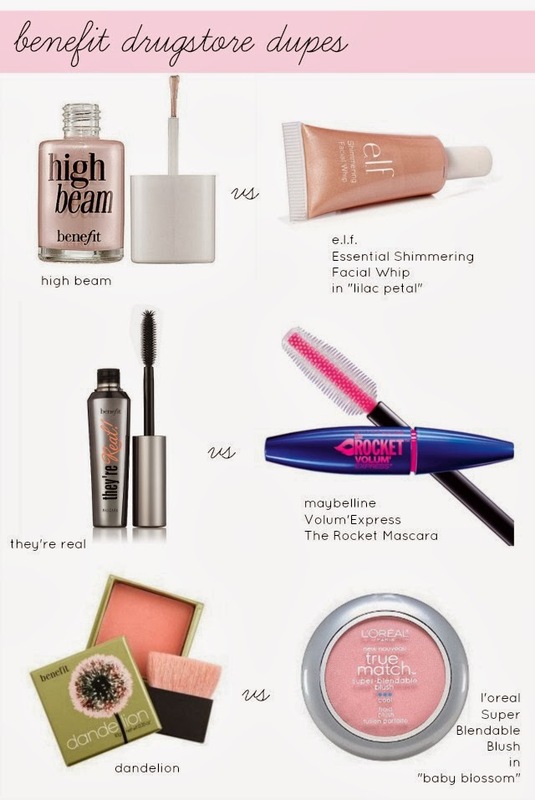 which lends itself to another favorite thing of mine-- scoping out drugstore dupes. Some people swear by high end make up but my bank account thanks for me for finding a balance of both. I prefer higher end mascara and bronzers because I like the staying power but like experimenting with drug store lipsticks and blushes. They're real is one of my favorite mascaras, only second to DiorShow, so I pick it over maybelline Volum'Express even though it has very similarly shaped wand. And while I love dandelion, I think the l'oreal true match does the job just as well. But its totally up to you and what your make up preferences are! Ulta is just amazing. I'm right there with ya!